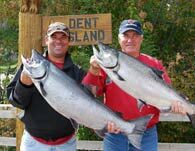 Dent Island | BC Salmon Fishing Lodge - Book Today! We're proud of our great staff! They provide friendly, personalized service and do their utmost to ensure that your stay is the very best it can be! The Dent Island Lodge restaurant and outdoor grill has established an outstanding reputation among the yachting community, and our guests consistently give us rave reviews. Whether you come for the scenery, the service, or the sauce, you will be treated to a meal of unprecedented quality in a one-of-a-kind location. We are just a hop skip and jump from Seattle, Vancouver or Campbell River! With daily seaplane and water taxi services our remote location is very accessible. We are happy to assist you in making the best choice that suits your needs. 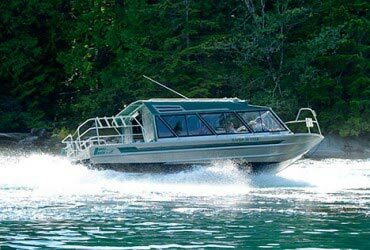 For a change of pace, or for those members of your party that may prefer a choice of activities besides fishing, we can book a variety of scenic adventure tours and wildlife viewing boat tours. We’re pleased to provide all the amenities from an ocean view exercise gym, wireless internet throughout the property, a hot tub where the tide rolls by, and more! Choose your BC fishing Experience! Troll for salmon one day and go freshwater fishing on pristine BC rivers the next! 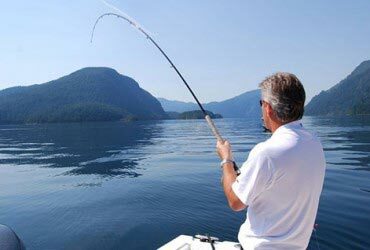 Custom angling vacations to suit your preference are our specialty. Explore the unique and rugged beauty of coastal British Columbia and see ocean tidal action like you never thought possible in our jet boat – Rapids Runner. 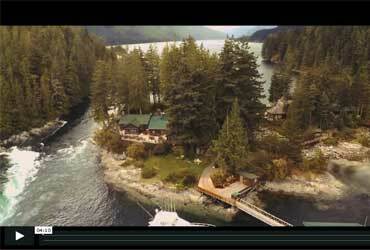 Watch our overview video to see for yourself what makes Dent Island Lodge so special.